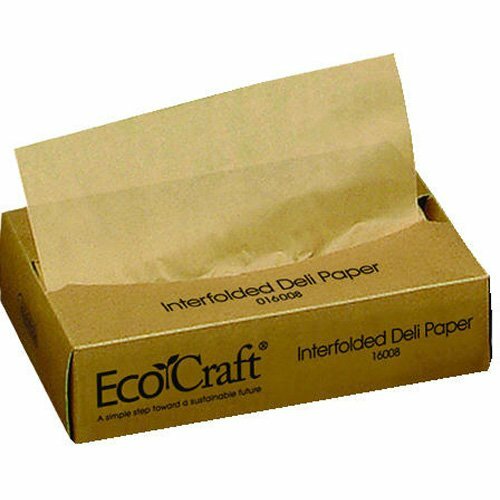 Bagcraft EcoCraft interfolded dry wax deli paper. Easy-to-grab sheets in a convenient, pop-up box dispenser. Multiple uses: food wrap, scale sheet, pick-up sheet and basket liner. Moisture resistant with wet strength for consistent performance in multiple foodservice applications. Our high quality dry wax standard weight deli paper is available in three different brand choices. Measures 10-3/4-inches length by 10-inches width. If you have any questions about this product by Bagcraft Papercon, contact us by completing and submitting the form below. If you are looking for a specif part number, please include it with your message.